During Christmas, my kids are obsessed with gifts. Doesn’t it make you cringe? The slow creep of materialism into the hearts of our children should scare us! I don’t want my kids to be gift-obsessed, unless they are talking about “the indescribable gift of God” – Jesus Christ. In 2 Cor. 8, Paul makes it clear that giving is both an outward expression of obedience as well as inward evidence of the loyalties of our heart. Giving is both a ministry and a heart issue. GIVING IS A HEART ISSUE. In this passage, Paul is speaking to the troubled Corinthian church. He urges them to grow in the graces of God much like the Macedonian believers, who managed to collect a generous offering for other churches despite their own poverty (2 Cor. 8:1-5). Listen to Paul’s words about the need for the Corinthians to be generous givers: “But as you abound in everything—in faith, in speech, in knowledge, in all diligence, and in your love for us—see that you abound in this grace also.” (2 Cor. 8:7). Paul puts giving on par with our need to grow in faith, speech, knowledge, and diligence. Notice that all these things are character issues, ultimately tied to the nature of our hearts. We give from a heart that is surrendered to the Gift of Christ. In 2 Cor. 8:9, Paul also tells us that giving is a ministry. Our model for a giving ministry is Christ, who became poor for our sake. A giving heart comes as a result of humble thanks for God’s indescribable Gift in his Son. The Spirit of Christ should inform our own giving. We do not give to others merely to make ourselves feel good. We give as an extension of the ministry of Christ – without pride, self-ambition, or miserly affection. 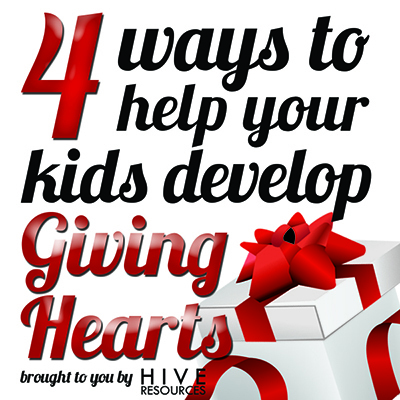 But instilling in your kids a humble and giving heart can be tricky business when navigating the toy aisle at Target in December. I hear you. Christmas activities are fun. 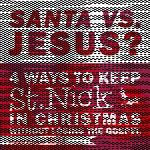 But spend the most energy and time on activities that emphasize the Gift of Jesus. Incorporate Christ-centered activities into your holiday traditions – like decorating a Jesse Tree and doing advent countdowns. One of our newest Christmas tradition is Truth in the Tinsel – a craft-guided advent activity for preschoolers. (You can find out more by clicking the icon in the sidebar). Each day in December, you make a Christmas tree ornament based on the nativity and share in a short devotion together. 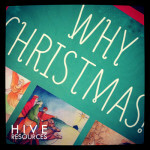 I was shocked at how much my children retained about the story of Jesus’ birth. It is a wonderful tool for engaging them with them with the Person of Jesus! Evaluate the way you celebrate Christmas as a family and then limit those activities that feed the gift-obsession in a negative way. Hide toy catalogs if needed. Instead of making toy wish-lists have each child create a wish-list of gifts they can make or give to family members. Limit the number of gifts each child receives. Last year, we gave the twins three gifts each – signifying the three gifts given to Jesus by the wise men. This rule of thumb allowed us to keep our motivations for giving in check and became another tool for teaching our children about the Christmas story. Christmas is a wonderful season to teach your child about serving others. Here are some easy ideas. In November, shop as a family for items to fill Operation Christmas Child shoe boxes. 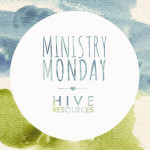 Sign up your family for church service projects. In December, clean out playrooms and cull toys to donate to Goodwill. Here are some other great service programs for kids: Toys for Tots operated by the U.S. Marine Corps and Angel Tree organized for children with incarcerated parents. If you’re trying to avoid toy aisles and shopping malls (for good reason! ), then bake Christmas goodies or holiday cookies to deliver to neighbors or a local nursing home. Let your kids decorate tags with Bible verses to attach to their treats. If your church is having a special Christmas service, include an invitation! And be sure to let your kids assist in the delivery of these goody bags so they can enjoy the fun of serving! Check out this adorable Acts of Kindness idea from Lil Light O’ Mine! Reinforce that greater joy comes from giving over receiving by incorporating special offerings in your family’s December activities. Find out if your church has a special Christmas collection and help your kids save for the offering all month. If your church doesn’t collect a special Christmas offering then Google some stellar nonprofits, and let your kids pick their favorite. Then create a special giving jar to store savings, gift money, or even money earned through chores. Put the jar in a prominent place along with your other Christmas decorations – on the mantel or even under your tree. For families with older kids, discuss alternative giving options. Consider forgoing gifts and donating money to a designated non-profit. 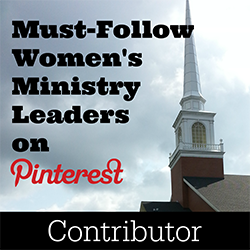 Designate a point-person to organize the funds and read about the ministry during the time you would have opened gifts on Christmas morning. One year, our family gave to a Chinese orphanage. The following year, we sent funds to a non-profit in Africa that teaches villages to raise funds and then build their own schools. The joy of hearing about how our money was used to bless others and help the nations learn about Christ far surpassed the temporary joy of presents. Be intentional about teaching the big picture regarding the Christmas Story. Explain what Christ’s birth means for the whole world – not just your children. The Lottie Moon Christmas Offering of the Southern Baptist Convention is taken up by Southern Baptist churches every December. It benefits international missions (100%) and is a wonderful way to teach children about the big picture of the Christmas story – Jesus was born for the whole world. During meal times, encourage your children to pray for international missionaries who are living in far away countries telling the world about Jesus’ birth. Pray for the people groups yet to hear about Jesus. If you need some information to help develop prayer activities, the Lottie Moon website has some great resources for researching world people groups and more! You could even incorporate globes and maps into your Christmas decor! How do you keep the gift-obsession from creeping into your children’s hearts? Share your ideas in the comments! 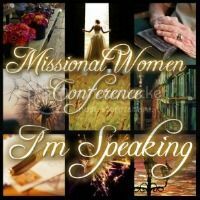 All the great ideas Melissa.We have done some of these and will pick up others which we haven’t yet.Anything which focuses where the focus should be,Christ. Robert and I have noticed our girls becoming very materialistic as of late. To get a grip on this issue early, we have decided start making Christmas about the gifts (something he has suggested for six years now). This year we made a decision to only buy them one gift (gasp. It is so hard for me), and instead do as you said. Make Christmas a month long celebration of Christs gift through advent projects, service opportunities, and giving to others in need. I must admit, it is very hard for me. Mainly because my heart struggles with attachment to the things of this world too. Our new Christmas traditions will be great for the little hearts in this house, and the big ones.